19th Century Folk art Wartime Relationship Commemorative Plaque. We are proud to offer a rare and unique commemorative wartime relationship plaque, circa 1880, depicting hand crafted sections and scenes, including an old ruined castle, Irish crested plaque joined by an American and French flag detailed with lead material stars, and to the right of the plaque a ruined house with primitive painted houses and trees in the background signed Killoff Castle. 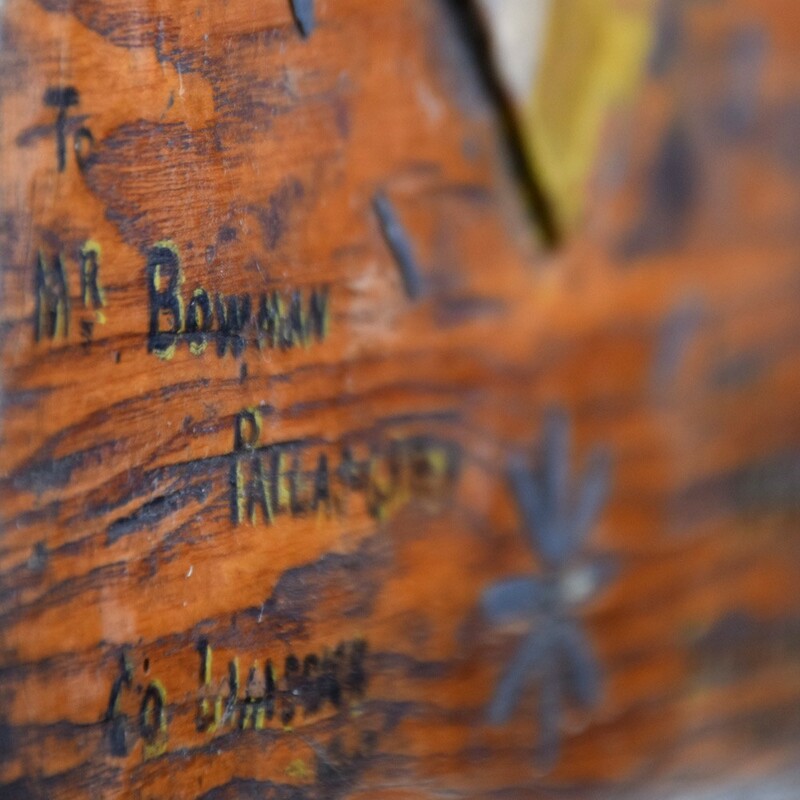 A twisted rope carved frame and all hand painted with the message stating, “to Mr Bownam from FW Powell” We assume this rare folk-art plaque would likely have been a gift of sorts from FW Powell to Mr Bownam, in exchange for shelter or just a friendship that formed in wartime. Quite a remarkable untouched piece of true folk art and a complete one-off example. 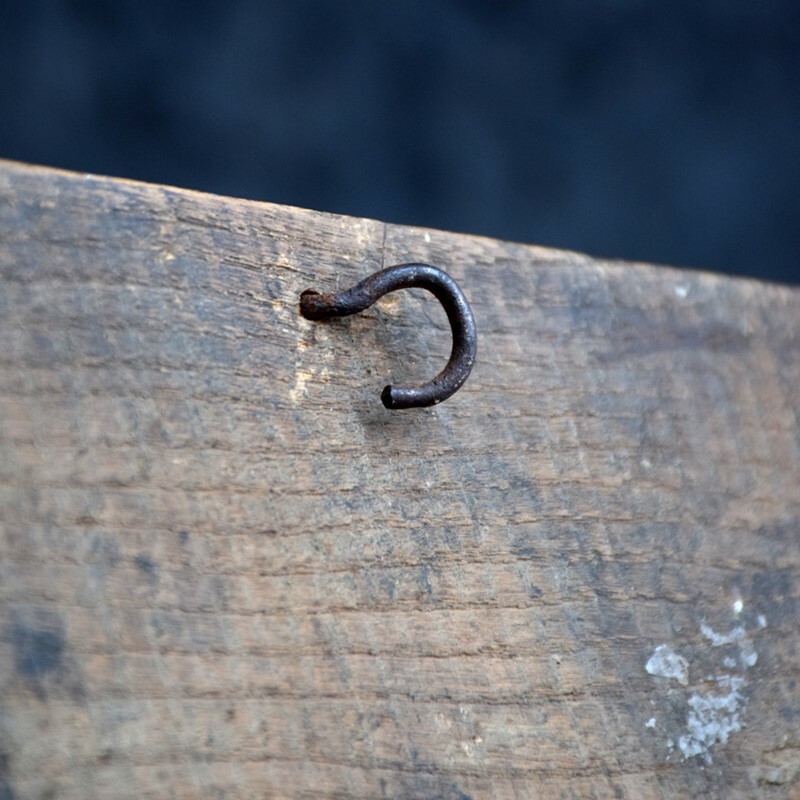 Condition: This item is completely solid in structure and form, fading of colour with a strong patination, wear across the surface is present due to the age of this item. its strongly suggested to review all close-up photos and propose questions before purchasing to avoid any disappointment.